Manish is currently the Chairman and co-founder of Teamlease Services, India’s largest staffing and human capital firm. Teamlease has over 95,000 employees in 1800 cities and is implementing India’s first vocational university in Gujarat and first national PPP apprenticeship program. In 1996 he co-founded India Life, an HR outsourcing company that was acquired by Hewitt associates in 2002. Consequently he was CEO of Hewitt Outsourcing (Asia) in Singapore. Manish serves on various state and central government committees on education, employment and employability and is a columnist for the Indian Express and Economic Times. He got his MBA from The Wharton School in 1996 and is an alumni of Shriram College, Delhi and Mayo College, Ajmer. One solution to India's challenges of education, employment, employability lies in state govts adopting apprenticeships on a large scale. Union budget reinforces the message that India will not be hot or cold but consistently warm. 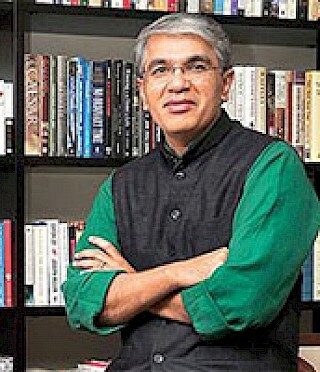 Manish Sabharwal writes in Indian Express: "Unrealistic ambition and incremental reforms can be self-fulfilling prophecies." India is not creating enough jobs. Without labour reforms, it can’t.